Ages: Any, although kids 8-11 get particularly fired up about secret codes. That’s typically the age when kids decide that a little privacy would be great–especially if younger siblings are involved. 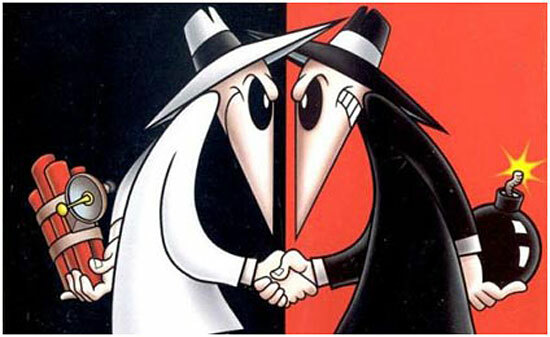 Many aspects of being a spy are, in reality, probably unappealing: lying, hiding, sneaking–all while your life is in constant jeopardy–plus a boatload of observation, sales, and psychological manipulation, according to former C.I.A. operative Lindsay Moran. Still, the idea of secret messages never gets old, and I’m excited to show you a few simple codes to get kids started. Reverse Alphabet: The Reverse Alphabet is perhaps the simplest code of all. Write the alphabet, then write it again underneath, backwards. Each letter is paired with its code letter. So A = Z, D = W, and XZG = CAT. 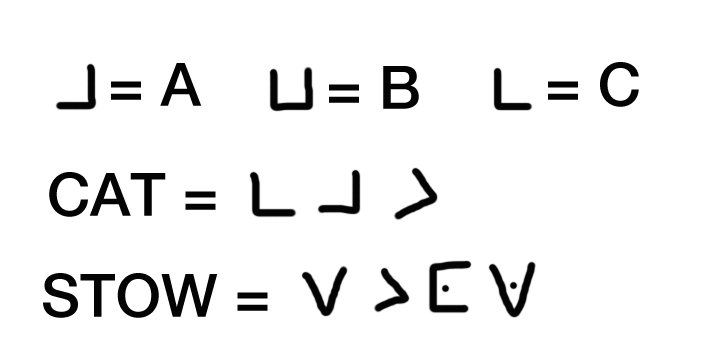 Half Reverse Alphabet: Same as above, but write the first half of the alphabet above the line, and continue the second half below. In this case, A = N, D = Q, and PNG = CAT. 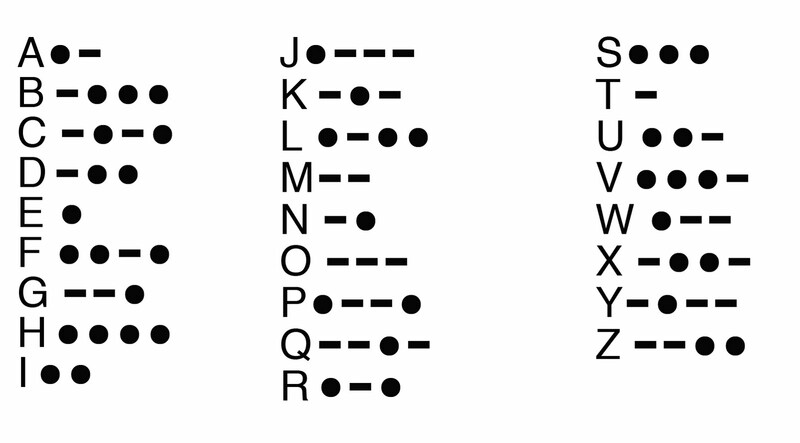 Morse Code: This code was developed by Samuel Morse–hence the name–for the electrical telegraph. A unique series of electrical pulses was paired with each letter of the alphabet. Now it is generally a series of lights or clicks in the same patterns, occasionally referred to as “dits” and “dahs.” Dits being the short sounds or flashes, and dahs the longer. It is still used by amateur radio operators, and in case of emergencies. Kids can easily translate these sounds or pulses into dots and dashes as we see below. NSA.gov has a activity to teach yourself Morse Code: CSS Sam’s Operation: Dit-Dah. They are actively–and openly–looking for the next generation of employees. True story. Pig Pen: My favorite. Also my kid’s favorite. Slightly more complicated to explain. You may need to look at it for a minute for it to make sense. I just found out that you can get the pig pen font here! Oh, hey. While you’re at it, why not write in invisible ink? Gina found one that really works. The Mysterious Benedict Society books by Trenton Lee Stewart. Also Known As by Robin Benway is about a teenage girl and her spy skills. H.I.V.E. (Higher Institute of Villainous Education) by Mark Walden. Harriet the Spy. A classic chapter book (1964) about an eleven-year-old girl that wants to be a spy. A word of warning. Things do not go altogether smoothly for Harriet. She would have avoided some pain if she had used a secret code while writing in her spy notebook. FYI: Bonus Materials and Links to More Secret Codes! One legendary code: In World War II, the military recruited Navajo-speakers to encode and transmit many tactical messages via military radio and telephone. According to Wikipedia, there were only about 30 non-Navajo people who could understand the language when the war started; it was also an unwritten language at the time. These two facts, combined with a complex grammar, made it impenetrable by enemy forces, and . For a short history of Navajo code talkers, click here. Did you know that Leonardo da Vinci had 13,000 pages of notes and writing, most of it in script and written backwards? No one knows if this was to keep his thoughts secret, or–since he was left-handed–because it was easier for him to write that way. Cub Scouts has a site with many secret code options. More codes from school rocks.org. I showed my kids this site and the thought that ot was really cool and there favorite is the Pig Pen. I liked the Morse Code and thank you for this site.